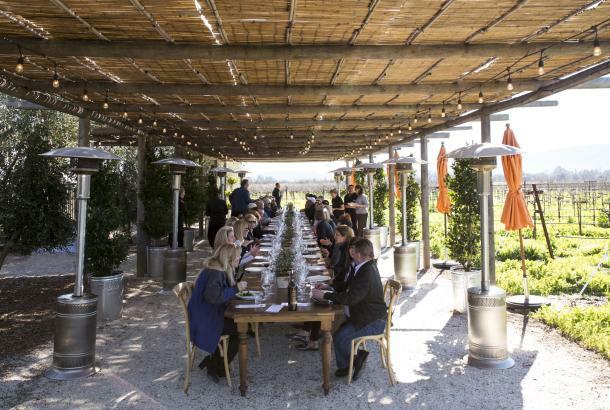 Where do you start your Napa Valley trip, when there are some 400 wineries, several Michelin-starred restaurants, and plenty more offerings for culture, adventure, and wellness? No matter where and when you go, you won’t go wrong. Visit in the spring, and you’ll be greeted by an abundance of wildflowers. In summer, it’s a playground for hiking and biking. In the fall, you’ll get to experience wine country at the height of its harvest. And the mild winters are a chance to enjoy the cozy atmosphere of leading restaurants with seasonal food and good wine. This may be your first visit, but we are pretty confident it won’t be your last. An inaugural visit to Napa Valley should begin with a stop at the Napa Valley Welcome Center in downtown Napa. 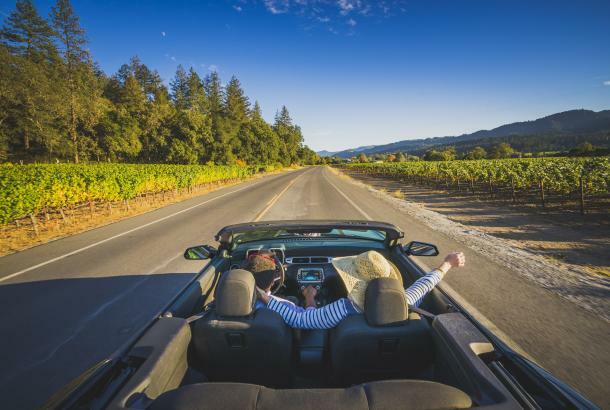 There, you can fine-tune the details of your trip with local experts, pick up maps, take a selfie in front of the wine barrels, and score special offers from wineries. There&apos;s even a beautiful bathroom with fresh flowers so you can freshen up for the big day ahead. Check in to the 62-room Bardessono in Yountville this afternoon. 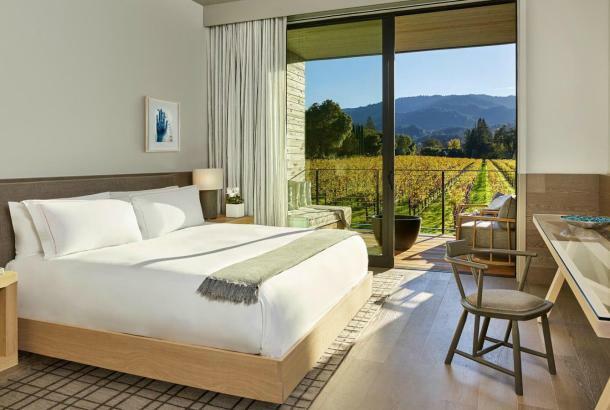 The hotel embraces the spirit of the Napa Valley in every aspect of its design and amenities—and prides itself on sustainability, garnering a Platinum LEED certification. Even the smallest rooms feature 250-square-foot terraces where you can enjoy the area&apos;s enviable climate. Signature treatments at the hotel&apos;s spa incorporate Chardonnay oil and other wine-based ingredients. 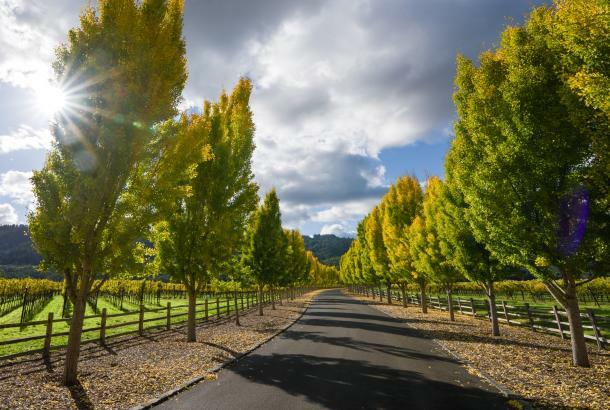 Yountville makes a great base to explore Napa Valley, and the compact town, with fewer than 3,000 residents, also has plenty of charms of its own. A number of wineries have tasting rooms here, so you don&apos;t have to get back in your car if you want to visit Domaine Chandon; for a glass of bubbly or Stewart Cellars, a family-owned winery with a tasting hall at the opposite end of town—but don&apos;t worry, a walk the whole way across town is a short one in Yountville. Save the French Laundry, perhaps the area&apos;s most famous restaurant, for another evening when you haven&apos;t spent the day traveling. Tonight you&apos;ll try one of Yountville&apos;s more casual options like wood-fired pizzas at either Ciccio or Redd Wood, or maybe Mustards Grill, an institution that has been serving California cuisine for more than three decades, in a casual low-key setting. 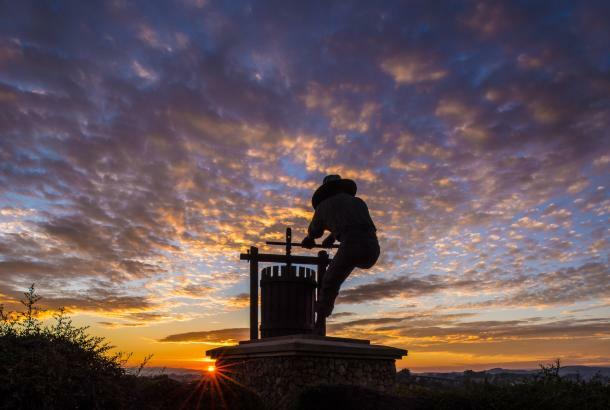 Before you drive south to the city of Napa, stop by the Napa Valley Museum in Yountville. The museum will give you a good historic overview, from the first pioneer winemakers in the 19th century to the phenomenal growth of the region in the last 50 years. In addition to the photos and artifacts in the permanent collection, the museum hosts temporary ones focused on local artists. 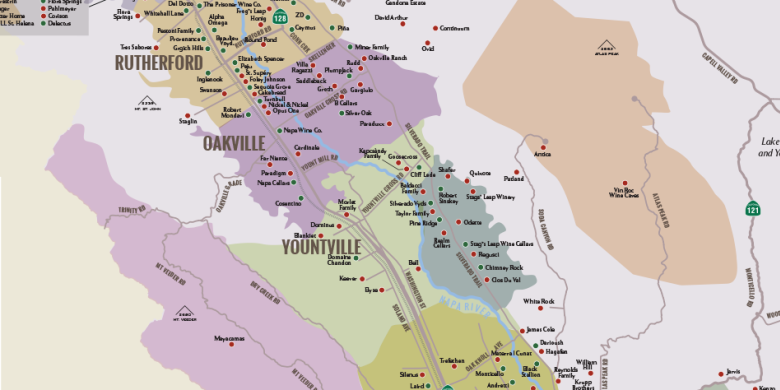 It&apos;s only a few minutes by car to Napa, the "big city" in the valley, with a population of 80,000. 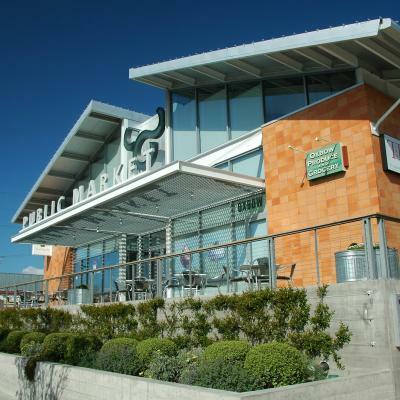 Visit the Oxbow Public Market to peruse its selection of produce, gifts by local craftsmen, and outposts of popular restaurants. It&apos;s a good spot for a light lunch from places like the Hog Island Oyster Co. or the Model Bakery. Afterwards take a walk along Napa&apos;s Riverfront. On the west bank of the river, the development offers waterfront dining and shops in a project that brought some new excitement to downtown when it opened some 20 years ago. 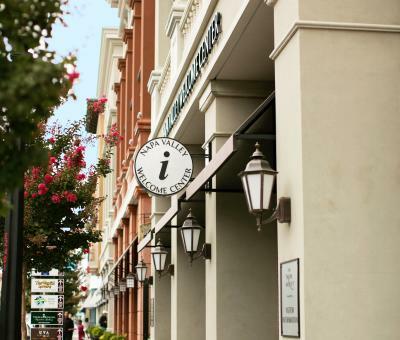 With everything from high fashion to casual cuisine, it continues to be a favorite of visitors. An art of another sort lives on at Napa&apos;s Seguin Moreau, where fourth-generation master cooper Douglas Rennie crafts wooden barrels used to age some of Napa Valley&apos;s finest wines. 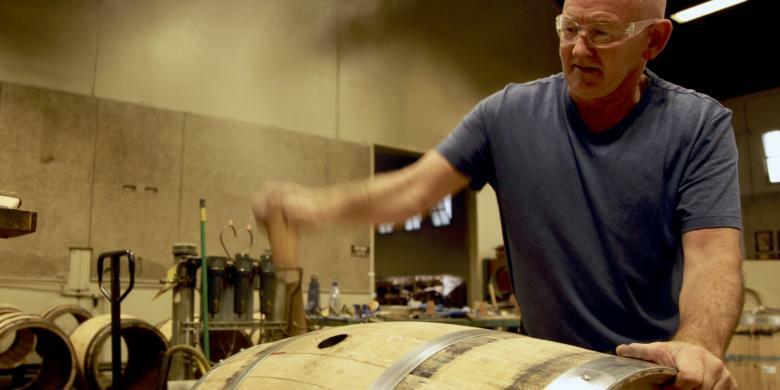 The cooperage isn&apos;t open to the public, so he encourages visitors to seek out such barrels at wineries like Opus One, Far Niente, Nickel & Nickel, and Duckhorn. "A lot of top wineries have them in beautiful showcase tasting rooms; it&apos;s really a sight to see when you walk into a cave or cellar and there&apos;s barrel after barrel of the traditional hoops." You might take him up on the advice and detour to Oakville for a tour of Opus One or Far Niente. While in the neighborhood, why not mix things up with an olive oil tasting at Round Pond Estate in Rutherford (you did have a light lunch, after all). Come dinnertime, circle back to Oenotri in Napa, where you&apos;ll be greeted by the aroma of wood-fired pizzas, served along with house-made salumi and rustic Southern Italian dishes. 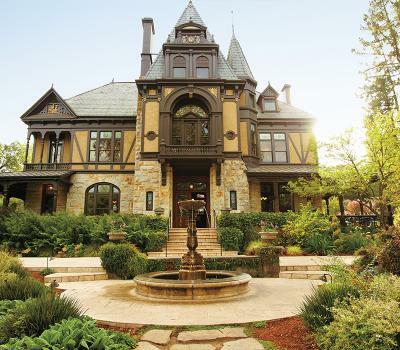 St. Helena is where the Napa Valley&apos;s winemaking history began, specifically at the Beringer Vineyards, which opened in 1879 and is the area&apos;s oldest continuously operating winery. Spend some time exploring the mansion—a recreation of the Beringer family home on the Rhine in Germany. For lunch, St. Helena&apos;s Main Street has a variety of restaurants to choose from, including casual fare like small plates and sandwiches at the Harvest Table or bruschetta and salads at the Clif Family Bruschetteria, a food truck parked outside the Clif Family Winery. Make a quick stop and then continue on to a local winery or two. Charles Krug is Napa Valley&apos;s oldest winery, established in 1861 (because of periods of inactivity, it cedes the "continuously operating" distinction to Beringer). Tours are only offered at 10:30 a.m. each day, but the tasting room is open until 5 p.m. and a visit includes an opportunity to sample a number of "estate" wines available only here. Visits to many of the area&apos;s vineyards are by appointment only, to help assure that the region retains its agricultural character. Crocker & Starr and the Newton Vineyard, which also has lovely formal garden, are two options near St. Helena. A plus of these by-appointment-only visits is their intimacy and the chance to spend time directly with the winemakers. You may want to call and schedule yours as soon as you have booked your flights. Another call you will want to make early on in your planning process is to reserve a one of Napa&apos;s Michelin-starred restaurants. At Thomas Keller&apos;s French Laundry in Yountville, for example, reservations open up two months in advance—and they go quickly. (The concierge at your hotel may be able to help you score a table, though they will also need as much notice as possible.) The nine-course tasting menu isn&apos;t cheap, but this is a meal you will likely remember for the rest of your life, with each course of the haute California-French dishes exquisitely plated. 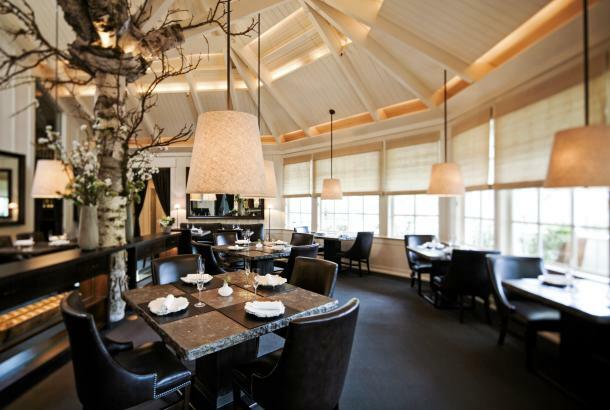 Other top choices include the Restaurant at Meadowood Napa Valley, La Toque, and the Restaurant at Auberge. Start this morning with a visit to the Chateau Montelena Winery. While the Napa Valley was a thriving wine region since the 19th century, it was an event in Paris in 1976 that helped elevate the region&apos;s products in the eyes of wine drinkers around the world. In the "Judgment of Paris," a competition between French and California white wines, the French judges decided that Chateau Montelena&apos;s 1973 Chardonnay was the best of all of them. The tasting room is open daily while the winery also has a lovely 19th-century chateau and a Chinese garden. At your next stop, you&apos;ll have an only-in-Northern-California experience, namely a mud bath in Calistoga. This West Coast spa town has drawn visitors to its hot springs since the 19th century, and a variety of spas, from basic to luxurious, cater to those who want to experience a "bath" in the warm mineral-rich mud that leaves your body relaxed and your skin glowing. 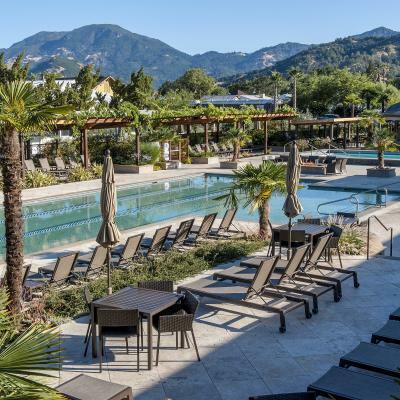 The recently renovated Calistoga Spa Hot Springs offers a bath in the volcanic-ash mud, followed by a deep-tissue, sports, or Swedish massage, among other treatments. Afterwards, you can take a post-treatment/pre-dinner nap by the pool. Calistoga offers up several excellent restaurants for dinner before you head back to Yountville. "Up Valley" favorites include Lovina, with an American bistro menu highlighting figs, tomatoes, and other produce grown at local farms. Evangeline has a menu that may be surprising given its location, with a number of Creole and New Orleans dishes, and an inviting patio with orange trees.